Kizuna Ai “Nendoroid” Officially Announced! The incredibly cute Kizuna Ai Nendoroid was officially unveiled by Good Smile Company last Friday and of course this means that since then, it has been available for pre-order from various stores, including Good Smile Company’s GOODSMILE ONLINE SHOP. 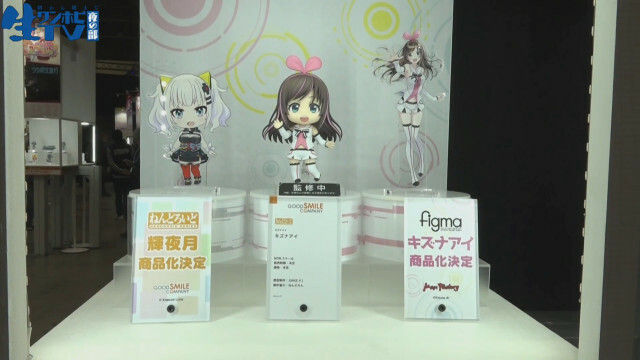 Coloured Kizuna Ai “Nendoroid” Unveiled, Kizuna Ai “Figma” Announced! Today Wonder Festival 2018 [Winter] took place in Japan and, as Kizuna Ai had promised earlier this week, a coloured version of her reacently announced Nendoroid figure was unveiled. However, there was other big news for Kizuna Ai fans. As I suspected, a figma figure of Kizuna Ai in the works! As you can see from the image above, which I got from the Good Smile Company’s YouTube Channel, Max Factory only had a little cardboard cutout stand-in to show, but I’m already excited! And as if that wasn’t enough, a 1/7th scale figure of Kizuna Ai, by Tokyo Otaku Mode x Stronger, was also announced. Just a few hours ago, Kizuna Ai, the Japanese “virtual” YouTuber, announced that a Nendoroid figure of herself is in development. She only had images of an uncoloured prototype to show, but she did say a coloured prototype would be unveiled at the Good Smile Company’s booth at Wonder Festival 2018 [Winter] on the 18th of February, which is only about a week away! The Figma Brand turns 10! 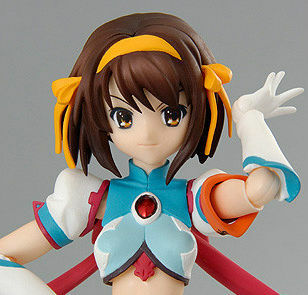 In January, 2008, a new type of figure was released as part of the limited edition version of the PS2 game The Confusion of Haruhi Suzumiya (which is of course, part of the The Melancholy of Haruhi Suzumiya franchise). This figure was of Haruhi Suzumiya herself as a superhero and it marked the beginning of the figma brand of articulated figures, which are now ten years old! Kasumi (from “DOA”) figma Out in July! New Marie Rose figure from Max Factory Announced! This exquisite figure by Max Factory of Marie Rose (from the fighting game DEAD OR ALIVE 5 Last Round) will be released next year in August, although you can already order it from various online stores, such as the GOODSMILE ONLINE SHOP. 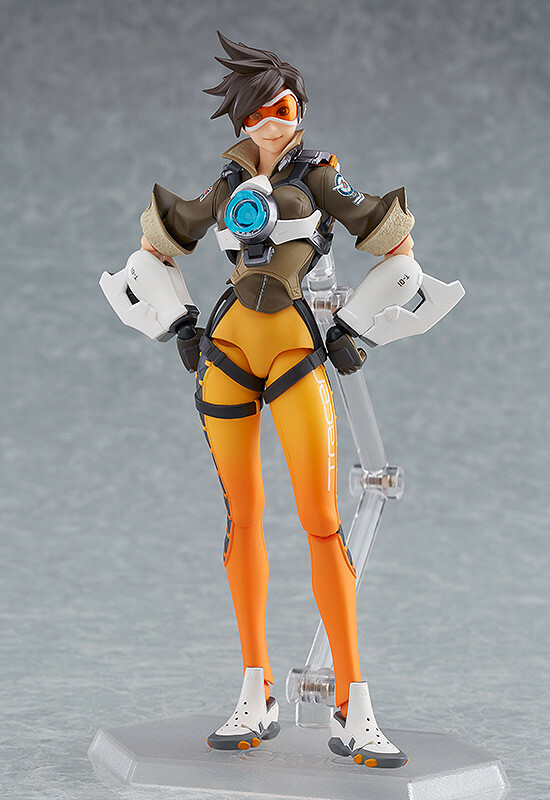 Figma Tracer (from “Overwatch”) Out in December!